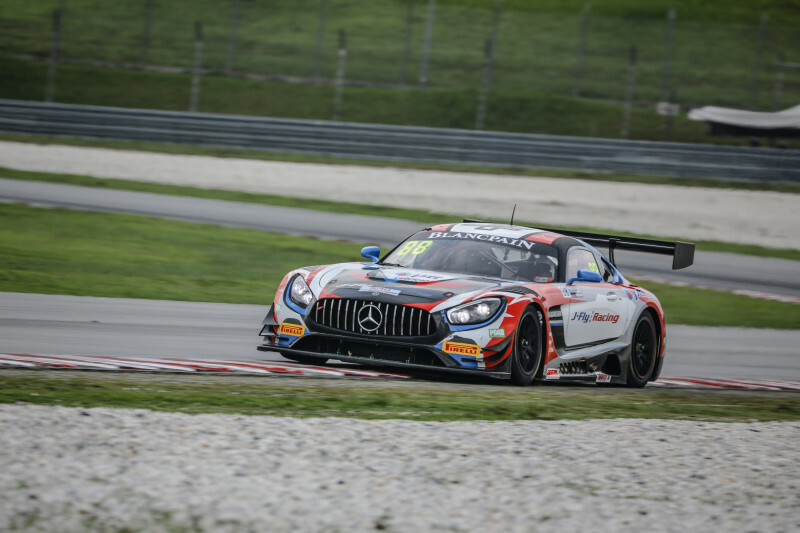 The opening round of the 2019 Blancpain GT World Challenge Asia was won by the #88 Craft-Bamboo Racing Mercedes-AMG GT3 driven by Jeffrey Lee and, driving the final stint, Alessio Picariello, who finished 4.604 seconds ahead of Gabriele Piana at the wheel of the #97 Indigo racing Mercedes he shared with MG Choi. 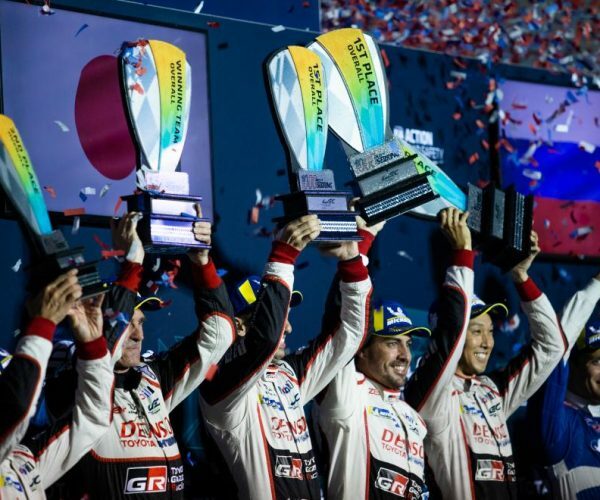 Completing the overall podium positions was the #27 HubAuto Corsa Ferrari F488 GT3 in the hands of Yuya Sakamoto and David Russell. 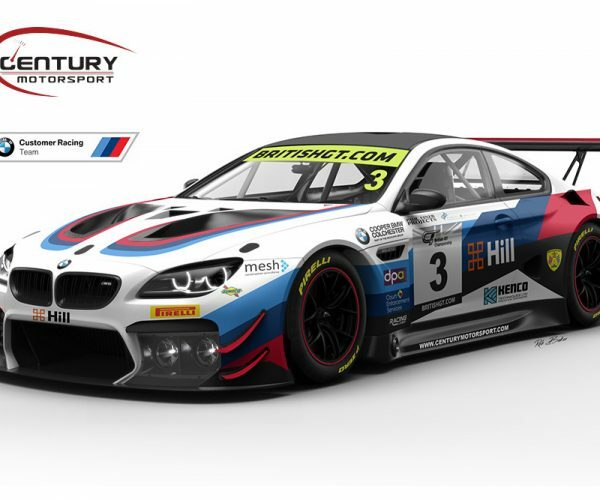 The win in the GT4 class went to the #81 BMW Team Studie BMW M4 GT4 piloted by Takayuki Kinashita and Sunako Jukuchou. 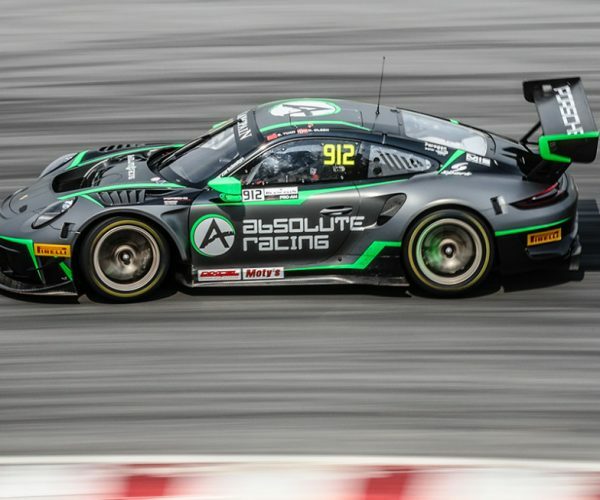 The 60-minute race got underway with the threat of rain hanging in the air and the news that the pole-sitting #912 Absolute Racing Porsche 911 GT3 R, qualified by Yuan Bo, had a 35-second pit-stop penalty. As the lights went out, it was Darryl O’Young in the #99 Craft-Bamboo Racing Mercedes who got the drop, moving from fifth on the grid to take the lead after passing on the inside of T1. Shortly after, the threat of rain started to turn into reality and the wet surface caused Yuan Bo, at the wheel of the #912 Absolute Racing Porsche, to go wide at T11, rejoining in fourth. The Safety Car was called on after five minutes after the #61 ABSSA Motorsport McLaren 720S GT3 stopped on track with Piti Bhirombhakdi on board. 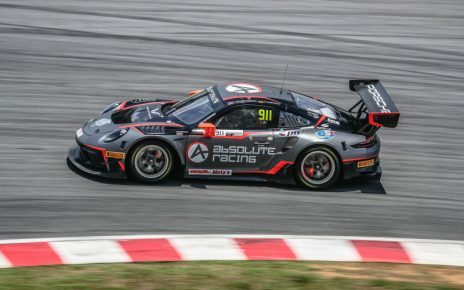 The race was neutralised for nearly five minutes but Tanart Sathienthirakul, driving the #911 Absolute Porsche, was .15 seconds behind O’Young, not allowing the Hong Kong driver to pull away at the restart. 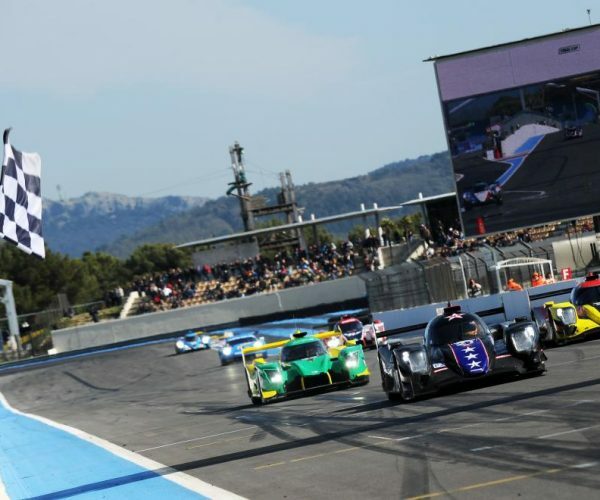 The race had been green for a little over two minutes when the services of the Safety Car were called on again, this time for three minutes, allowing teams to bring cars in for tyre changes. 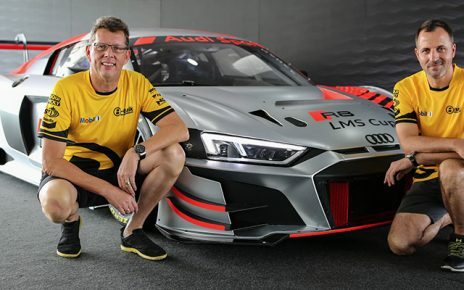 There was drama for Absolute Racing when Yuan Bo, in the #912 Porsche, tapped the back of Tanart Sathienthirakul in the sister #911 car, then running in the second, causing the Thai driver to spin and promoting David Chen in the #999 Audi Sport Asia team TSRT Audi R8 LMS GT3 Evo into second. 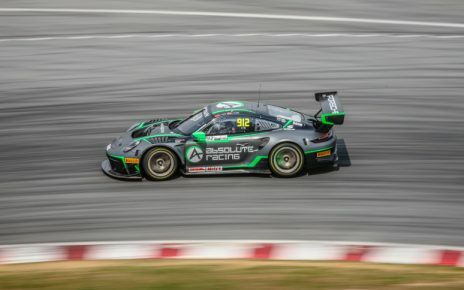 The lead changed on lap nine when David Chen, driving the #999 Audi Sport Asia Team TSRT passed O’Young in the #99 car for first place at the Turn 15. Chaos ensued in the pit lane during the driver change window with congestion causing arriving cars double-parking and preventing cars from leaving. The leading #999 Audi, now with André Couto at the wheel, was one of the cars hampered in getting back out on track. After the driver changes had cycled through, and with the track now largely dry, it was the #97 Indigo Racing Mercedes, with Gabriele Piana at the wheel of the car he shared with MG Choi, holding a lead of just over eight seconds from the #27 HubAuto Cora Ferrari driven by David Russell. Picariello, now at the wheel of the #88 Craft-Bamboo Racing Mercedes was pushing hard, however, and the Belgian driver passed Russell for second within the final 15 minutes. Picariello then set about chasing down Piana in the #91 entry. 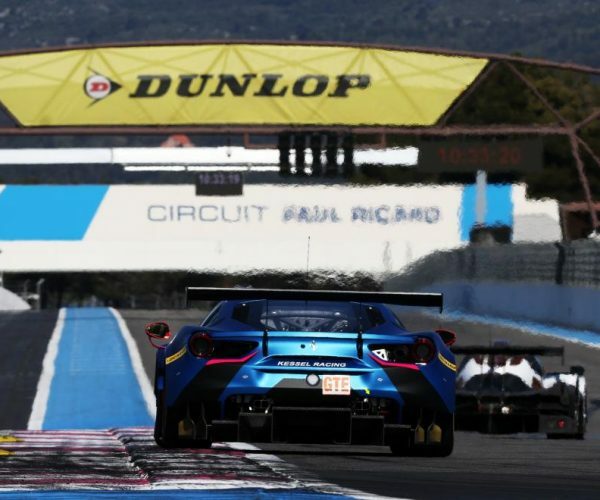 As the race ran into its last 10 minutes, Picariello was closing the gap to the leading #97 Mercedes by about a second a lap and, with less than six minutes remaining, had closed to within three seconds. Picariello’s opportunity came when he and Piana caught traffic. 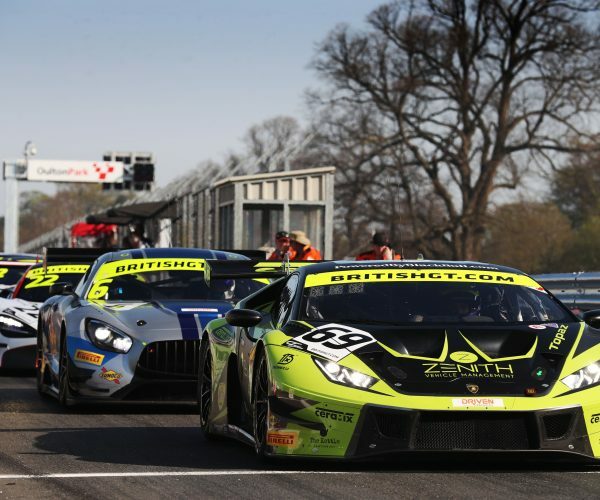 Catching the GT4 leader, Picariello saw his chance and took the lead, muscling his way past Piana in the #97 car to take the lead. 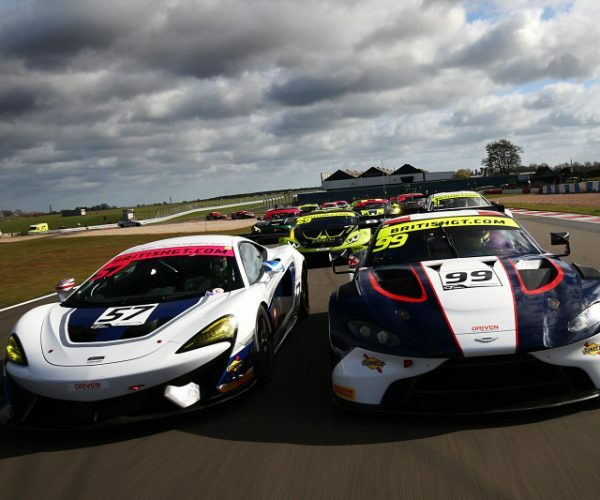 As Picariello started to pull out a gap, there was a close battle from fifth down to ninth with Jazeman Jaafar, at the wheel of the #888 Triple Eight Race Engineering Australia Mercedes, passing Chris van der Drift in the #910 JR-M Porsche 911 GT3-R for fifth in the closing minutes. 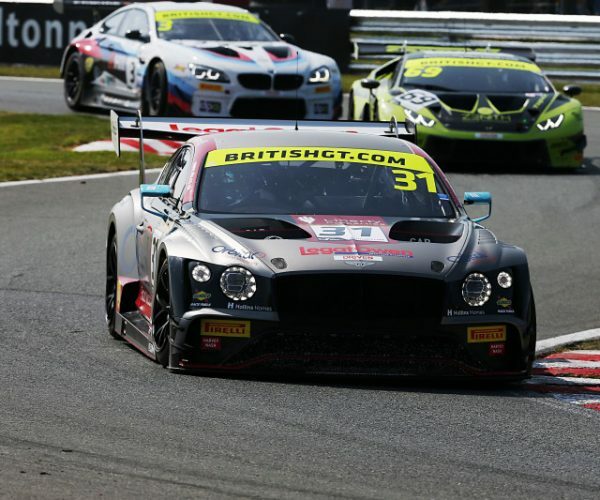 Alessio Picariello was delighted at the win but thought he and teammate Jeffrey lee had only taken the Pro/Am victory. Teammate Jeffrey Lee was pleased with his opening stint. With a number of teams and drivers being called to meet with the Stewards, the race result is currently provisional. 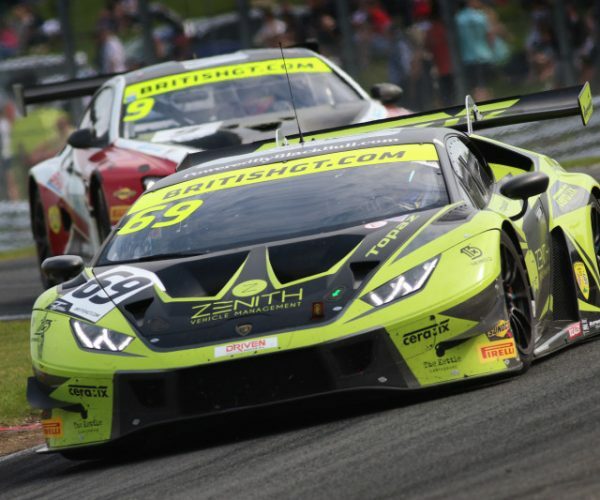 Race Two of the Blancpain GT World Challenge Asia opening weekend starts at 10:50 local time (03:50 UK time) on Sunday April 7.